In 1992, Deepak Fertilisers and Petrochemicals Corporation Limited (DFPCL) made a lateral expansion into the fertilizer industry. Today Smartchem Technologies Limited (STL), a wholly owned subsidiary of DFPCL, is one of India’s largest and most renowned manufacturers of bulk and speciality fertilisers. 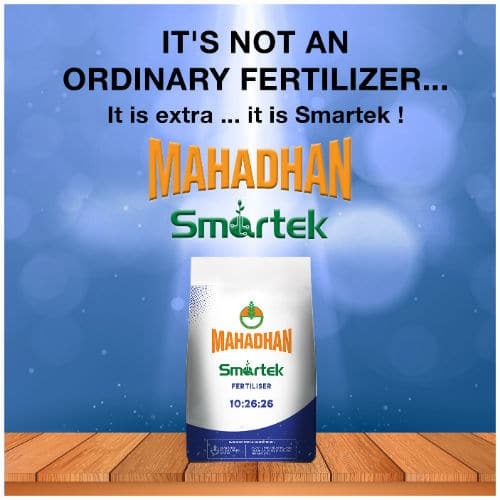 The company’s fertilisers are marketed under its flagship brand Mahadhan. With an aim of simplifying the Agri business experience for farmers in rural India, Mahadhan brand has been built to provide innovative solutions to all farming needs.